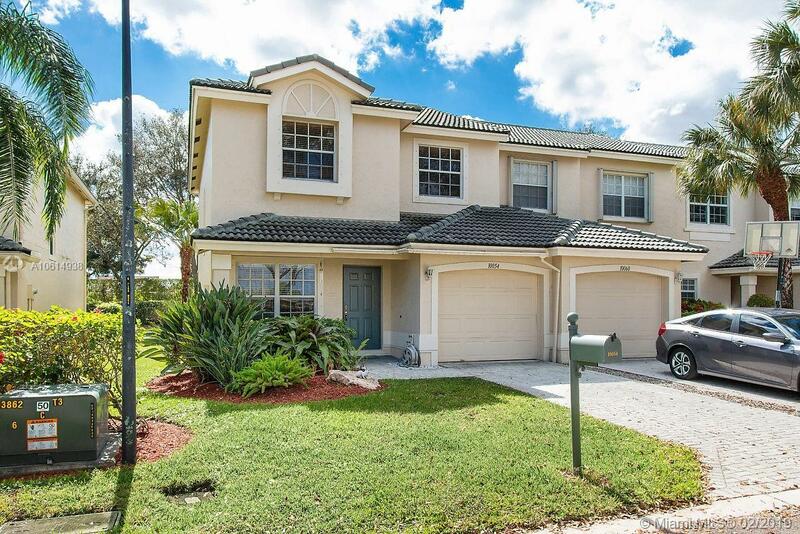 Captivating and impecable 3 Beds 2.5 Baths Corner Townhouse in the best area of Boca Chase, upgraded Italian Style Kitchen, w/Granite Countertops & Stainless Steel Appliances, Tile Floor throughout Living Room, Family Room & Dining Room a Screened Patio with Garden View, perfect for Entertaining. Very Bright Master Bedroom with Garden Views, and a huge Walking Closet, Marbled Master Bath with separated Bathtub and WC. 2 Bedrooms - full Bath. 1 Car Garage. Ideal for young couple with family or empty nesters. Coco Pointe offers beautiful landscaped road, recently remodeled Swimming Pool and Tennis Courts, perfectly located within walking distance to Shopping Center, A rated Schools. Just North of Boca Chase enjoy Pinewood Park with 3 baseball fields a picnic area and children playground. Directions: From I95 Take West On Yamato Rd And Turn North On 441, Turn Left Boca Chase Dr, Coco Pointe Is On The Right.